American Horror Story has become the series that taps into the mental state of its viewers. The time of the Fall season always has fans rallying for Ryan Murphy to reveal American Horror Story’s next season theme. You have the seasons prior to showing you the gritty backstory of others from a crazed institution to the undisclosed stories of a hotel featuring some of the most diverse cast of characters any series has offered. The new season of American Horror Story definitely plays on the -phobia that’s plagued the world for decades. During 1990 this -phobia would later be exacerbated from the movie “IT”—a horror film adaptation of Stephen King’s novel “IT”—which featured a scary looking clown named Pennywise the Clown. Fast forward to yesterday as the people who are afraid of clowns will definitely be after watching this. 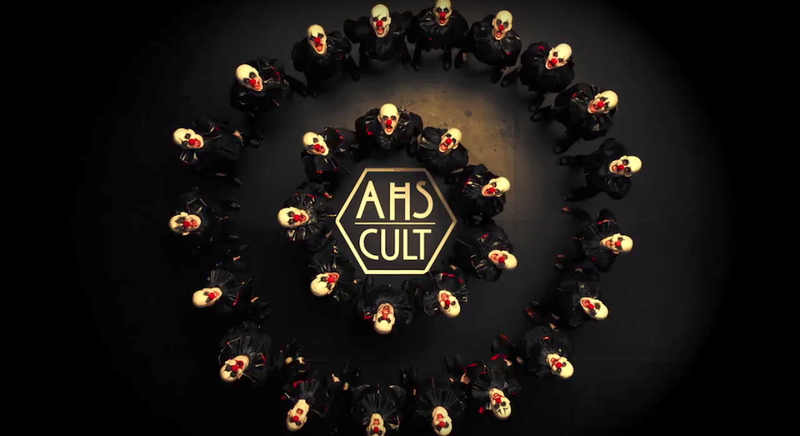 FX would release a teaser for the upcoming new season of “American Horror Story” which has now been sub-dubbed “Cult”. The teaser features a cult of clowns being creepy around the stage, brandishing weapons with the occasional screams that intensify the eerie aura that already exists. Another aspect that’s shown is the occasional face popping out of the cult.